This is the story of two brothers who lead wildly different lives and suffer different fates. 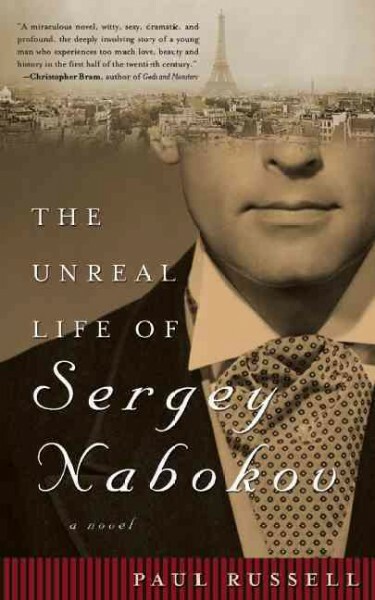 Sergey Nabokov is the younger brother of the famous novelist Vladimir Nabokov. This book is a fictional narration of Sergey’s life. Both brothers were born with “silver spoons in their mouths.” Their father is a wealthy merchant in pre-revolutionary Russia. The narrative starts in early 1900s. Sergey is as gifted intellectually as his older brother, but suffers from a number of deficits including a terrible stutter and the fact that he is gay. When his family discovers his proclivities he is sent to a brutal doctor, who first humiliates him and then abuses him. He has numerous love affairs which scandalize his family. He lives his life as an openly gay man at a time when gay men are treated with as much respect as vampires. If you’re in the wrong spot you could get a stake through your heart. After the Russian Revolution the family flees from St. Petersburg and ends up in Germany. Sergey, alternating between Paris and Berlin uses his charm, wit, and Paris connections to meet many famous people from that time, including Gertrude Stein, Alice B. Toklas, and the whole literary and artistic scene of the 1920s. He also develops a nasty opium smoking habit. Things begin to turn around for Sergey in the middle 1930s when he meets Hermann, the son of well off German aristocrats, who gives him unconditional love and material support. Hermann gets Sergey into rehab and changes his life. Events in Germany are taking an ominous turn in the late 1930s with the rise of Hitler and his increasing persecution of ethnic groups and “undesirables”. Vladimir detests his younger brother because of his “affliction” and they are estranged for a number of years. As the Nazi regime closes in, Sergey tries to reconcile with his brother who is trying to escape Germany, and ultimately ends up in America. Sergey unwisely decides to stay in Germany with Hermann and is ultimately arrested and sent to a labor camp. Vladimir prospers after the war and goes on to great fame and fortune. Sergey eventually succumbs to the inhuman conditions in the concentration camp and dies before the Allied Liberation of Germany. This book was based on a true story entitled “The Gay Nabokov” by Les Grossman that was published in Salon, an on-line newsmagazine, in 2000. The author does a terrific job of envisioning Sergey’s life and transforming it into a credible story. I really don’t like novels that inject real people into the story in a big-time way. The idea that Nabokov had a sibling (I am pretty sure he didn’t but don’t hold me to that), much less detested them is such a misrepresentation of the facts, and when your consider Nabokov’s own wealth of autobiographical writing, such as “Speak, Memory” and the biographical treatments of him, such as “Vera”, I doubt I will ever get around to reading this. Joseph, Vladimir Nabokov did indeed have a brother who was gay and a brave fighter who died in WW II, there are thousands of paper proof and photographs and confirmation from Nabokov surviving clan who speak openly about Sergei’s life. What more proof do you need about Nabokov sibling? Indeed Vladimir had 5 siblings. Most of Vladimar’s biographies are just a sugarcoat of his real life.